How much fun are these?? 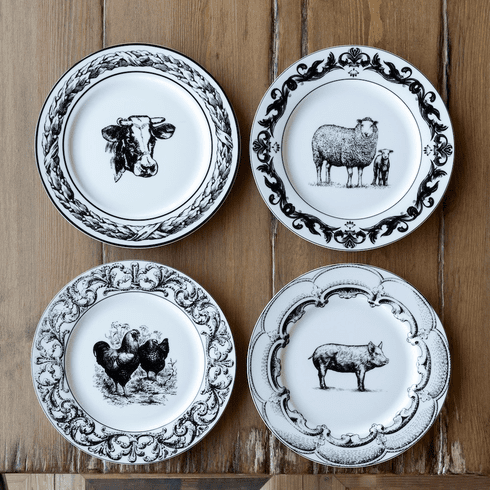 Place setting of 5 including ceramic dinner plate (10.5inches), mug (4.5 x 4.0 x 3.5inches), dessert plate (6inches), salad plate (8inches) and breakfast bowl (6.5 x 2.5inches) in farm yard style. Four assorted styles.